Sarah Kate Gardiner (UK/NL) is dancer, choreographer, teacher, researcher, writer and body worker based in Amsterdam. Since 1995 she creates site performances, tailor-made community dance projects and instant compositions. Teaching and directing people, both novice and professional, from diverse corners of society is her fertile ground. Her work is driven by the gaps in our society (age, culture, social background) and holds a space for difference to meet and dialogue through dance. Her site performances zoom in on the body’s potential for shape shifting and bodysurfing public space and social codes, where dancers walk into trees, contact duets are vacum packed against a cafe window, fish is traded for a neighbour’s best moves and 16 and 60 year old residents meet on the dance floor. Dancers dissolve from performer, to pedestrian to inanimate object blown across a square, performers shape shift, time is suspended and what and who is performer keeps the audience on their curious toes! On-going collaborations include; Dansimprovisatie Utrecht , Het Speelateljee – an anthroposophic kindergarden and Pauline de Groot, founder of the School for New Dance Development Amsterdam (SNDO), with whom she closely trains and researches. She initiated and co-directed Platform 1660, a cross-generation dance project and site performance Steal A Moment, premiering at Dansmakers’ PUNCH! Festival For New Choreographic Talent and Cinedans International Film Festival. She’s regularly performed for Jochen Stechmann, making choreographic interventions in public space and performed/choreographed for location theatre group Aardlek. In collaboration with Leon Beckx she developed the methodology ‘Dans Dialogue’ to empower communities through dance and was invited to Oranje Fonds Community Arts Symposium to give workshops to community leaders in the presence of the dutch royals. She presently runs her TINY&mighty movement courses to empower toddlers and parents and co-coordinates the monthly Instant Composition Practice Utrecht & Amsterdam. Sarah Kate is dedicated to dancing outside of the box. Sarah Kate has performed and presented her work and collaborations at arts festivals across Europe, especially the UK, The Netherlands, France, Austria and Finland, at Oerol Theatre Festival, PUNCH! Festival for New Choreographic Talent, Cinedans Dance Film Festival, Festival Over Het Ij, Julidans Festival, Festival Dans La Rue, Spoffin Street Arts Festival, Utrecht Danst Festival, Oudot Kuviot New Dance Festival, Embodiment Festival, Year of the Artist, Summer Arts Across Portsmouth Festival, Caen Peace Festival, Shore Lines Literature Festival, International Womens Day Festival, One World Festival, Prime Movers Dance Festival. Sarah Kate is trained and educated in both dance and visual art, an abundant resource that continues to feed and play off each other. Her art background has been a blessing for cultivating a sharp and grounded eye for an original look on the world where her movement ideas take seed. When she is restless in one field the other is waiting wide-eyed with new inspiration. At the end of the day her primal need to dance and experience her own physicality always brings her home to the body. Her love of architectural s p a c e was born from early experiences … playing in the street and climbing, hanging, rolling and dancing through huge obstacle courses built in the garden by Percy, her eccentric grandad. Old scaffolding towers and nail ridden wooden boards were ripe for a health and safety visit and a blissful haven for a five year old tomboy. Her attraction to risk taking has grown with her. Performing on stage since the age of 11, Sarah Kate followed intensive classes and residencies with Essex Dance Theatre (UK) in tap, modern, jazz and ballet. During years of training she discovered her biggest passion for choreography and followed exam courses as a teenager. A hunger for creative experimentation and a wider playing field led her to four years of study at Braintree Art College and Portsmouth University, graduating in General Art & Design, National Diploma, followed by 3D Multi-area Art & Design, Higher National Diploma. Her later works fused her research of architectural space and the body. Her graduate exhibition was a 3D installation of corridors and rooms that playfully manipulated the viewer to move and ‘dance’ through her sculptural environment. Never far from dance she continued to train and perform with different groups, studied dance at Portsmouth College and was offered a place on the ‘Dance Studies’ course at The Laban Centre for Movement and Dance, London. Following the successful launch of her site-specific dance company, MT Gap, she decided to turn down her place at Laban to cut her own path. As well as co-running her company for five years, she directed several youth dance companies and led many community dance projects for youth initiatives. She returned to Laban and successfully completed a Post Graduate in Scenography, Costume & Lighting For Dance. Parallel to working as a feelance dance artist, she was costume designer for six years with Hampshire Dance Trust (UK) to a number of wonderful established choreographers, namely Aletta Collins, Jayanchandran and Ben Craft. 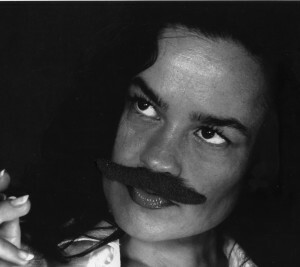 Moving to Amsterdam in 2001 she was immediatley drawn into the multi-disciplined work of the Cleaners Identity Group and was invited as a core member, dancer and choreographer. Along the way Sarah Kate continued her movement studies with many pioneering teachers, especially in the field of dance/movement improvisation, most profoundly with Pauline de Groot, Julyen Hamiliton and Katie Duck. For six years she trained in Capoeira with Master Maretta and Zoi, and has been shaped by her experience with Contact Improvisation, Body Weather Amsterdam, Skinner Release, body-mind centering, authentic movement and Qi Gong. 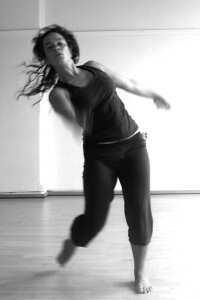 Since 2009 she trains weekly with her mentor and friend Pauline de Groot whose pioneering practice: Pathways Into Energy and 8 Hoops Spiral Training has generated an ever expanding influence on her own pedagogic development and physical evolution as a dancer/performer. Today Sarah Kate teaches, performs and choreographs with a curiosity more hungry than ever, feeling most blessed for every opportunity that opens up to share the work with others.